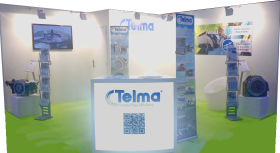 At the Pollutec 2014 Trade Fair, Telma intended to present the benefits of its braking solutions to the actors of the waste collection market. The many visitors, fleets, leasers, and local communities had the opportunity to discover the benefits offered by Telma’s latest innovations. Thanks to their unequalled efficiency at low speed and practically immediate responsiveness, Telma retarders make it possible to save up to 88% of the braking costs while reducing by as much as 88% the particulate pollutant emission into the atmosphere. At the Czechbus 2014 Trade Fair, 17 vehicles exhibited by manufacturers partnering with Telma featured a Telma electromagnetic retarder. 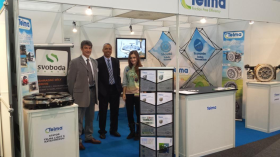 Telma presented its new retarder line, Focal® "Telma Light", as well as its plug&play system, LVRS. Both systems integrate innovating anti-corrosion protection solutions. One of the many advantages of this anti-corrosion protection for the most demanding customers is that it significantly improves the retarders’ resistance in corrosive environments such as the water-salt mixes used in winter conditions. For the first time in the United Kingdom, EMR introduced the iRCS, Telma’s latest innovation. 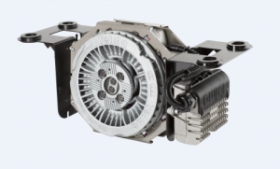 The iRCS is a concentrate of technology and innovation offering a single housing for power management and integrated operating controls for Telma retarders. The iRCS uses fully configurable software providing easy integration into numerous vehicles, including those equipped with ESP, EBS, and ABS systems. 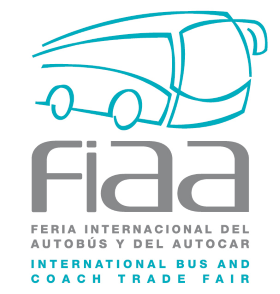 Telma was well represented at the FIAA Trade Fair in Madrid, where many of the exhibited vehicles featuring an electromagnetic retarder were equipped by Telma. The 14 Telma retarders presented at the Fair were installed in minibuses, midibuses, and coaches from European, Turkish, and Asian manufacturers partnering with Telma. 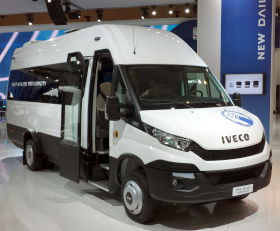 At the 2014 IAA Trade Fair in Hanover, the new Daily, Iveco’s sixth generation lightweight utility vehicle, was elected “Van of The Year 2015”. 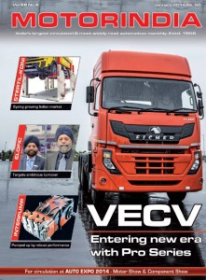 Building on the innovative spirit that allowed it to be honoured with this prestigious title, Iveco elected to offer as a world premiere the Telma breakthrough iRCS steering system as well as the new AF50-60 and AF30-35 Telma retarders. A built-in Telma retarder is an additional guarantee of peace of mind for the final user and maximizes the economic advantage offered by the Telma retarder since it is included in the total financing amount of the vehicle. 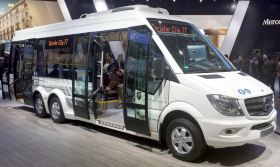 On the occasion of the IAA show, the OEM Minibus from Mercedes-Benz group, had displayed its famous new "City 77" fitted as standard with Telma retarder AF30-35. 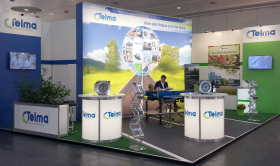 During the 2014 IAA show in Hannover, Telma has once again confirmed its worldwide leadership in the global market of the electromagnetic retarder. 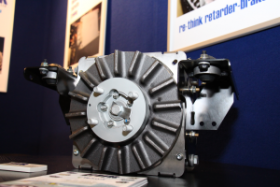 Indeed, 15 OEM partners of Telma have displayed a total of 27 vehicles with a Telma retarder. In its June 2014 issue, "Bus&Car" magazine published an article on the all-new Euro 6 urban line made by Minibus (Mercedes-Benz Group). The Travel 65 and Transfer 34 models are factory-equipped with the new AF30-35 retarder, reflecting the choice by Mercedes-Benz to offer its clients the numerous benefits of the Telma retarder, specifically in terms of safety. A built-in Telma retarder is an additional guarantee of peace of mind for the final user and maximises the economic advantage offered by the Telma retarder since it is included in the total financing amount of the vehicle. 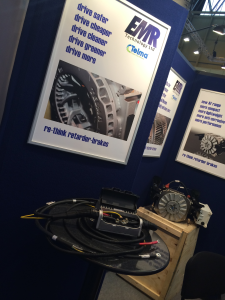 Telma’s UK partner EMR Technology Ltd exhibited the new 2015 AF range of Electro-magnetic Retarder-brake at the 2014 Ambulex exhibition. For the first time in the UK the lighter, more compact AF range was shown with both the AF2 and AF3 on display. 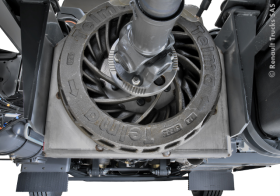 The AF3 reduces weight by up to 12kgs and has a 45mm better ground clearance. AF2 was specifically designed to equip vehicles around 3.5T and especially pickup trucks, 4x4 and SUVs. In its May 2014 issue, the English magazine Bus&Coach Buyer devotes an article to the "Voyager" model designed by the Italian coachbuilder Sitcar. This minibus is built on a 7-ton Iveco Daily 70C17 chassis equipped with a Telma AD50-55 retarder as a factory-installed option, mounted on the assembly line by Iveco Suzzara. Hence, the driver benefits from the standard option to activate the retarder either with the brake pedal or using a handle located on the dashboard. 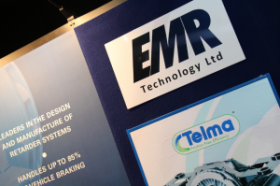 For the first time in the UK, EMR are delighted to show the Telma product at the Blue and Amber Light Fleet Exhibition at Telford. Stand 164 will show the very successful AE range and have details on the new lightweight, more compact AF range. At Busworld 2014 in Istanbul, Telma once again affirmed its collaboration not only with the leading manufacturers but also with numerous Turkish coachbuilders. Another confirmation of Telma's undisputed position of number 1 in the world for electromagnetic retarders. Over 9 Telma applications are installed on the new Euro6 lines of minibuses, Midi buses and coaches manufactured by European and Turkish manufacturers loyal to the brand. 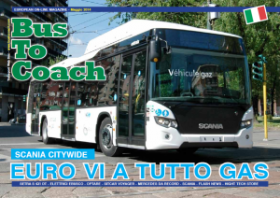 In its May 2014 issue, the Italian magazine BusToCoach devotes a full article to the new "Voyager" model designed by the Italian coachbuilder Sitcar. 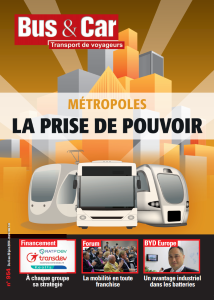 In its April 2014 news number 43, the Busworld Istanbul website publishes an article on the international development of Telma activities, highlighting, among other news, the launching of its new line of AF retarders. The article describes the numerous advantages of Telma retarders, with particular emphasis on the latest technological innovations of the brand such as the iRCS. This article brings to light the supremacy of Telma solutions in the retarder area. With EuroVI, its completely new line of trucks, Renault Trucks has once again expressed its confidence in Telma by offering exclusively, as a factory option, Telma electric retarders on all new 'Distribution', 'Wide Construction', and 'Wide Distribution' series. For DTI5 210 to 240 horsepower engines, Renault Trucks selected the Telma AD61-55 retarder, with a retarding power of 370 kW; it should be noted that no hydraulic solution is offered for these engines. For the DTI8 240 to 320 horsepower engines, Renault Trucks opted for a higher retarding capacity with the indispensable AD72-00 and AD72-60 retarders that deliver retarding powers of 480 and 620kW respectively, a capacity up to 55% higher than hydraulic solutions (400/420 kW). The unequalled benefits of Telma retarders, now installed on the whole Renault Trucks series, is once again demonstrated and approved. To outfit their Euro6 lines, car manufacturers, Telma clients, ... Iveco, Volvo Renault Trucks, Temsa , Otokar ...., continue to trust Telma. All of them selected the Telma retarders' CAN integration solution into the EBS/ESP braking systems. Continued trust in our AD6 AD7 and Focal products, with the addition of the Telma MCR electronic control device. New also: AD5 retarders are replaced with our new AF retarders, and we use the new Telma iRCS electronic system that allows for linear drive and power within a single unit. This is our new line of products, adopted by our clients in the beginning of 2014. 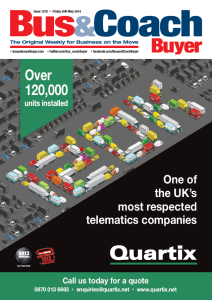 In its January 2014 issue, Motorindia magazine published a new article on Telma's worldwide expansion, including in India. The article details the numerous advantages of the Telma retarders as well as new products such as the EDA and the TIR. With this article, Telma clearly expresses its intention to conquer the Indian market.